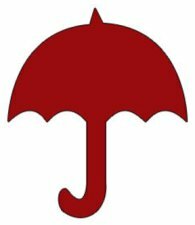 Tropes about umbrellas, parasols, and their various uses in fiction. One of the main reasons we use umbrellas. Use whatever is handy to cover from the rain. Japanese folklore spirit, that looks like an umbrella. Your umbrella has smashing and piercing abilities. An umbrella of old-fashioned grace and style. This stock parody requires an umbrella. Umbrellas are not for thunderstorms.